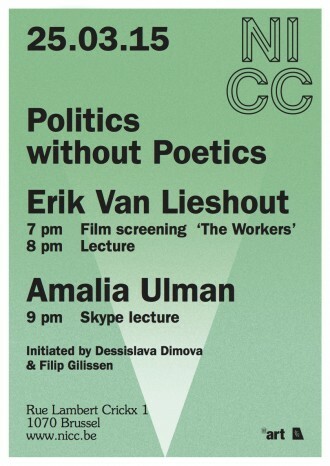 On March 25th, NICC has the pleasure to invite you to Politics without Poetics II, the second event in the series, initiated and moderated by Dessislava Dimova and Filip Gilissen. 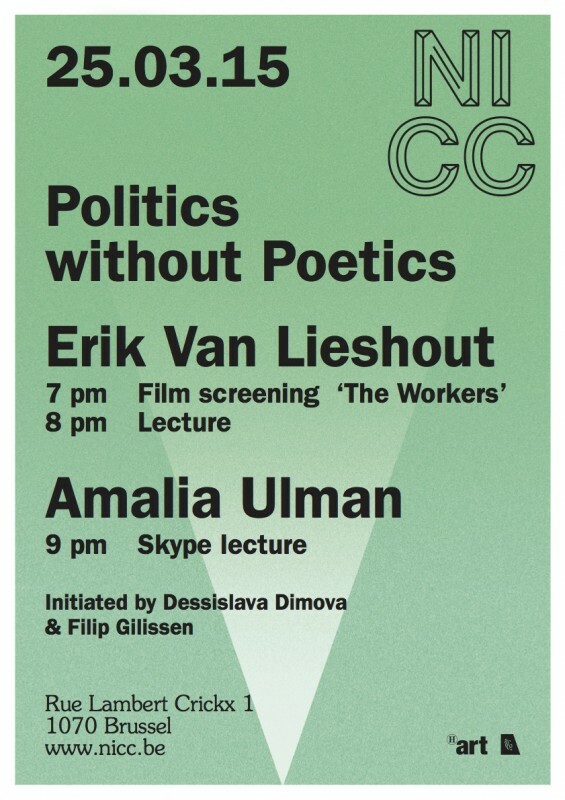 Politics without Poetics II will present Erik van Lieshout’s film “The Workers” (2014, 50’), followed by a conversation with the artist, as well as a Skype lecture and conversation with artist Amalia Ulman. 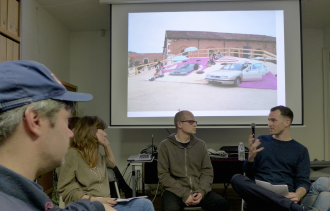 Politics without Poetics was conceived as an attempt to uncover multiple artistic routes for configuring art as a political practice, weaving global, historical and future perspectives into the discussion. Art today has become a space where politics proper can be imagined, rehearsed and even practiced, a kind of ‘poetic politics’—a staged ideal of politics, an artistic corrective of reality. In this context, can we formulate an idea of political art without poetics? What would an art without artistic unconscious be? A kind of pure construction, strategy, design? With this series we look into practices that enact the political within and through the limits of reality, refusing the nostalgia of utopian dreams or the hope of art’s "emancipatory effect". AMALIA ULMAN (1989, Argentina) lives and works between London (UK) and Gijon (Spain). 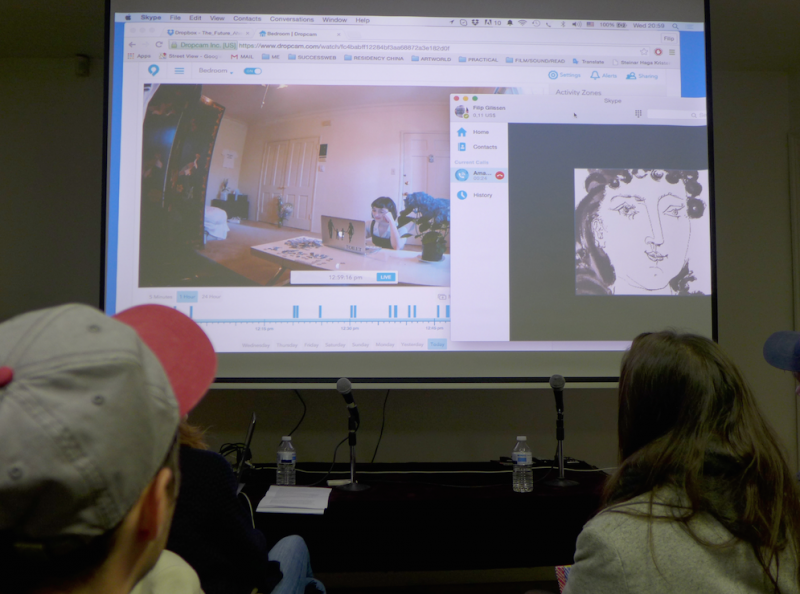 The main focus of her research are class differences and how they affect social interactions, emotions and human relations. Her work analyses social stratification, cultural capital, class imitation and seduction. Her aim is to scrutinise matters such as hierarchies, power relations, charity and empathy. She graduated from the Central Saint Martins School of Art and Design (London) in 2011. Recent exhibitions include solo shows Savings & Shelves at Headquarters (Zurich), Overcome Cleanse at Galeria Adriana Suarez (Spain), Moist Forever at Future Gallery (Berlin) and duo shows: Profit | Decay at Arcadia Missa (London) and Immune Stability at Steve Turner Contemporary (Los Angeles). She is the founder and curator MAWU-LISA and was one of the panel members of 89+ curated by Hans Ulrich Obrist and Simon Castets for the DLD13 Conference (Munich). She currently thrives for a total conjunction between art and life trying to escape from the gallery and institutional space; following different pathways in an attempt to infiltrate herself in different capitalist environments (for further critique).